It's a step beyond Intel's upcoming 28-core chip. AMD is once again pushing its processor technology to new heights. During its Computex keynote today, the company revealed that its second-generation Threadripper CPU will feature up to 32 cores and 64 threads. We've known the chip would arrive later this year, but AMD now says it'll launch in the third quarter. The news also comes on the heels of Intel's announcement of an impending 28-core, 5GHz chip. "When we were bringing out 16-core, we already had on the drawing board the 32-core," AMD's Jim Anderson said in an interview. "That's one of the reason it can drop into the same TR4 socket, is because up front we had that in mind." The new Threadripper will run on AMD's 12nm Zen+ architecture, just like the company's newest Ryzen desktop CPUs. It'll sport all of the features from those products as well, like higher clock speeds, more efficient performance and improved boost. Only a few years ago, we were blown away by AMD and Intel's foray into double-digit core counts, so it's surprising to see how quickly we've leaped beyond 30 cores. When it comes to the back-and-forth competition with Intel, who one-upped AMD's Threadripper core count last year, Anderson says it's ultimately good for consumers. 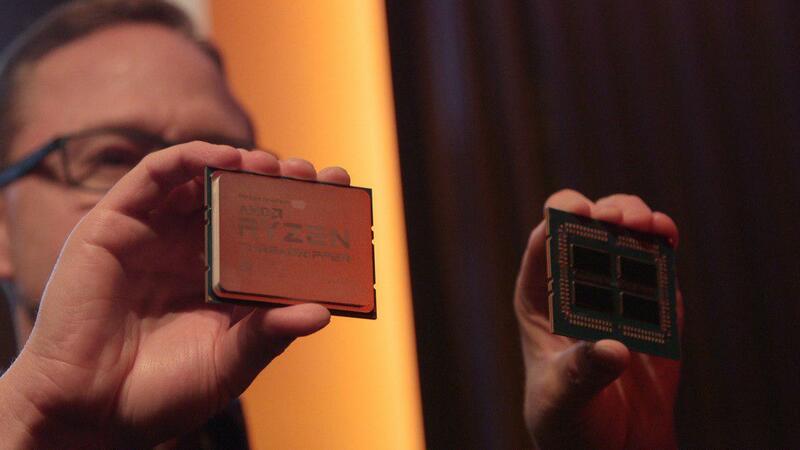 "I think Ryzen has had a big impact on the industry, but the best thing about is is that it's driven innovation and competition back in the industry," he said. "And that's good for everybody, and it's especially good for end users. I think having Intel react to us just benefits end users. I also think it's nice to see AMD back to its heritage of pushing the industry."